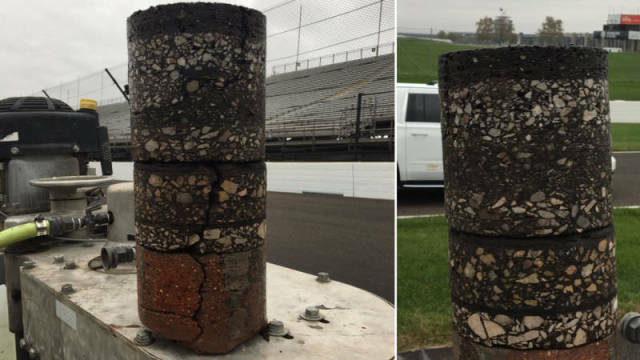 The Indianapolis Motor Speedway was repaved again and they took a core sample from the track. 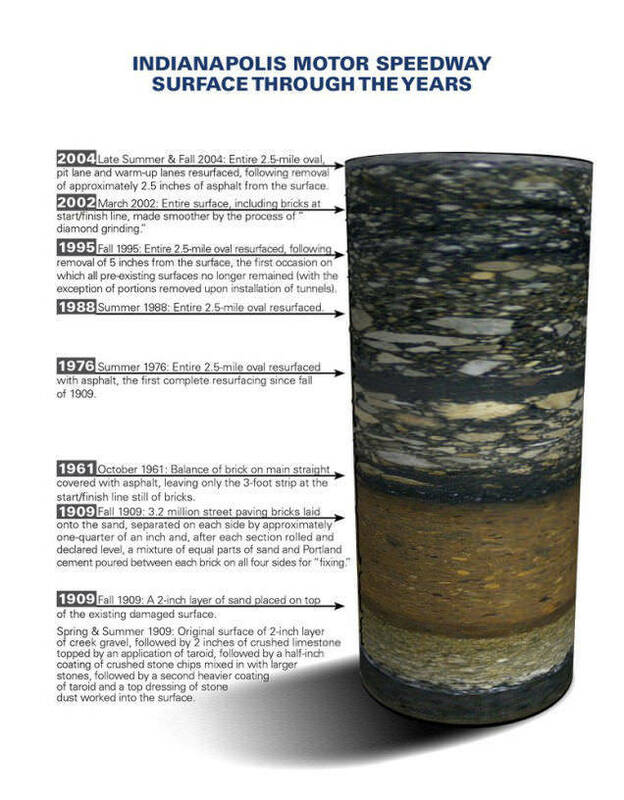 Here it is, showing over 100 years of history. Here are the segments broken down and explained. 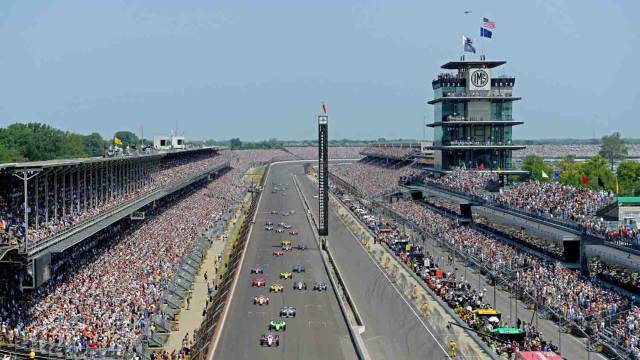 Who would've thought a piece of road can be this fascinating and hold so much history.